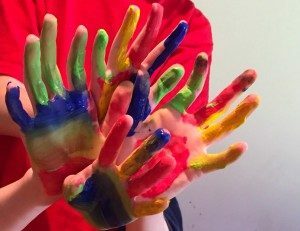 I encourage children and young people to use various creative media and therapeutic play. This is a very natural way for them to explore awareness of their thoughts and feelings, and to express themselves. It can also be much less threatening than traditional talking therapy. This could be through drawing, painting, clay or using puppets or characters. In a trusted environment it can enable them to explore and make sense of their experience of life and help them develop towards their potential.